Yes, this is it! The new and fantastic JCH StreetPan film. Contrasty and full of character, this is a fantastically versatile panchromatic film perfect for the lovers of monochrome. 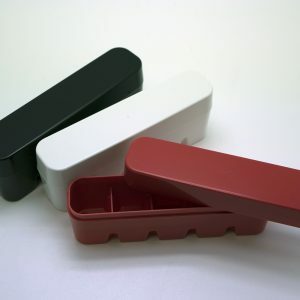 The emulsion is coated onto a transparent polyester base providing excellent dimensional stability. Thickness of the polyester base 100µm (0.10 mm). The very fine graininess and the high speed make this film an ideal for use in traffic infringement cameras in a wide range of weather conditions. 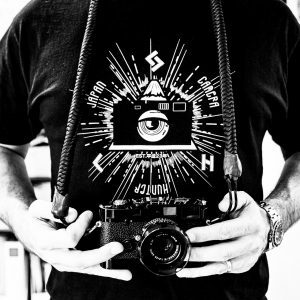 Or if you are not a speed camera, street photography, in a wide range of weather conditions. The low fog level at high temperature processing makes the film suitable for high volume processing applications. 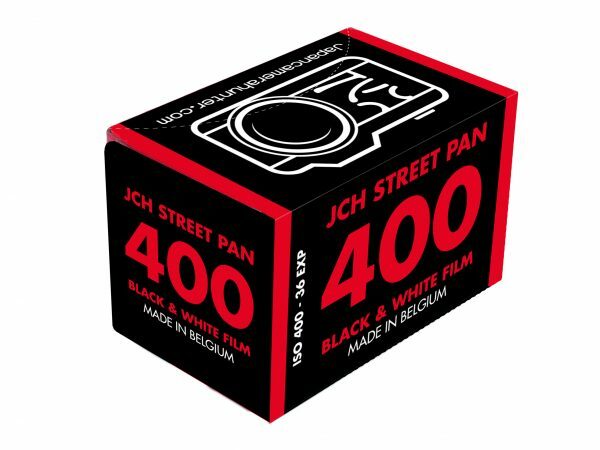 Due to its sensitivity to red light, JCH StreetPan 400 is the optimum film for dawn, dusk and winter photography. 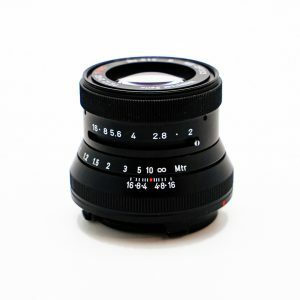 It’s speed and sensitometric characteristics make the film extremely suitable for low light and low sun angle photography (long shadow areas) and for wide latitude photographic exposure. The spectral sensitivity is extended in the near infrared range of the energy spectrum, colour sensitivity: panchromatic up to 750 nm. As a result, the film offers excellent penetration through haze, fog and other atmospheric conditions liable to affect the image quality. Due to the reduced scattering by the atmosphere, images are sharp and well edged. The near IR sensitivity and the strong response to red light allow for nocturne red flash photography as well as daylight photography. Although featuring high speed, the graininess of the emulsion is low thanks to the 2-layer emulsion architecture. The low granularity makes the film very scanner-friendly and the scans deliver noise-free images in the image highlights. The low fog level at standard processing temperature and at high temperature processing makes the film even more suitable for development in large and small processing machines. The image contrast can be controlled by the processing parameters. 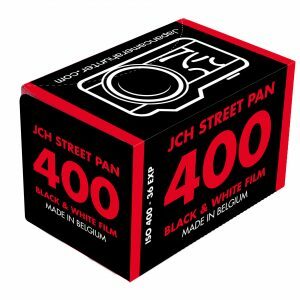 JCH StreetPan 400 can be processed as a low contrast film for good and average weather photography and as a medium contrast film for bad weather photography. Although high speed and near-IR sensitised, this film shows excellent storage stability before use and low latent image drift after exposure. 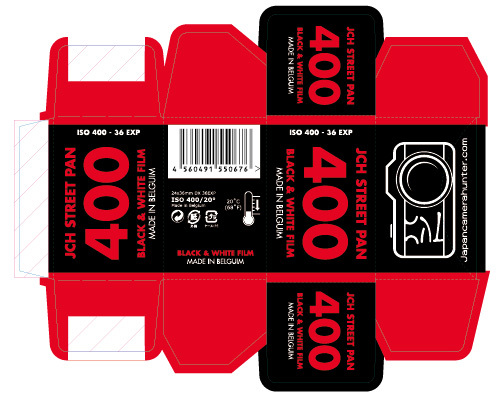 JCH StreetPan 400 has a gelatine back coating to prevent scratches on the back of the film which could be picked-up by image scanners. Base substrate layers provide permanent anti-static properties to the film, at exposure and after processing. The resolving power is the resulting effect of granularity and sharpness of a film. Evaluation of resolution of the contact target results is heavily influenced by the local gradient of the sensitometric curve used when imaging the target on the film. The resolving power measurement is a scientific result of a lab test which neither shows the impact of the atmosphere, nor the ability of a film to generate higher resolving power in practical circumstances due to near IR or IR abilities. The film should be handled in complete darkness. 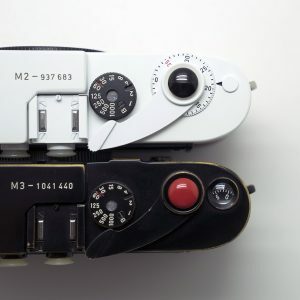 The film sensitivity can vary with processing. 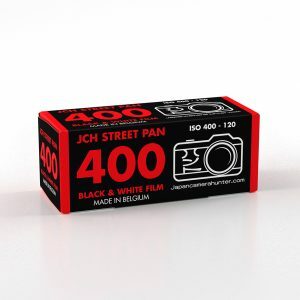 JCH StreetPan 400 can be exposed as a 200 to 500 ASA/ISO film. Each roll works out to be 950 yen. 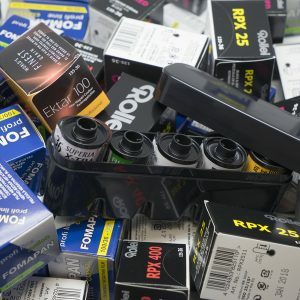 The film is now offered in either 3 rolls, 5 rolls or 10 rolls. 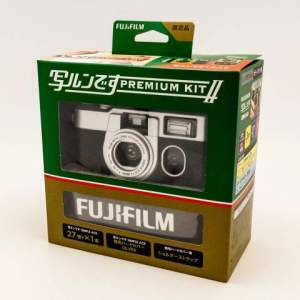 And also as a pack with a film case.